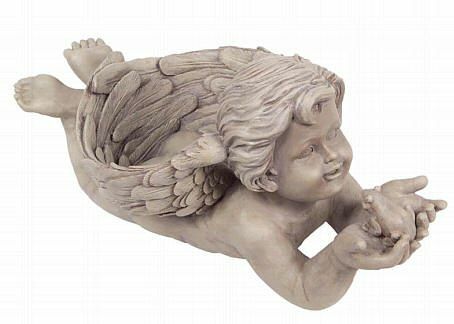 Angels are graced beings who are sent to protect us and this little angel boy statue is truly a planter who will be happy in your garden. He is shown with his favorite frog. Made of resin.